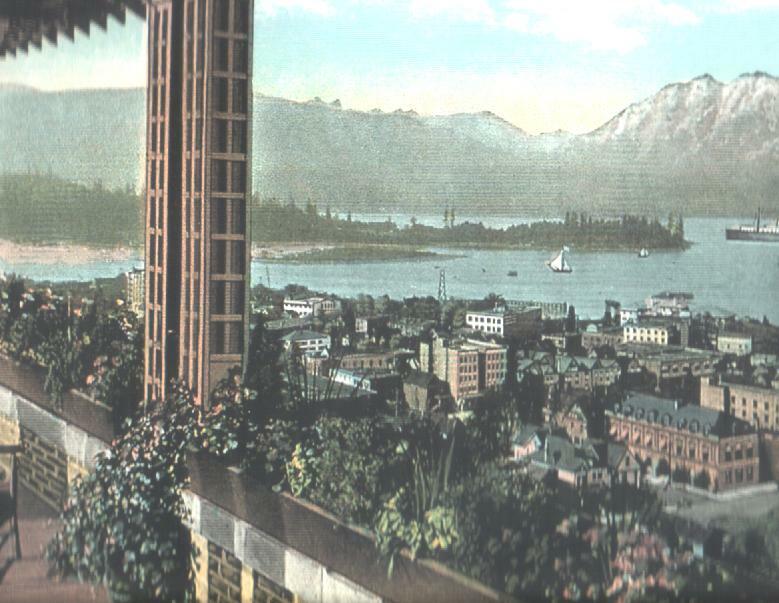 View of Stanley Park from Hotel Vancouver, ca. 1920s. Precisely 125 years ago, the City of Vancouver opened Stanley Park to the public. This past summer in Vancouver, the city celebrated the anniversary about a month early. However, what many people might not know is that Vancouverites began to use Stanley Park as a recreational area months before the park opened. Numerous curious neighbours ventured into the park before its roads and trails were complete. Some crossed Coal Harbour by canoe to get into the park before the Board of Works constructed a bridge. A woman named P.S. Saville recalled going for a stroll on the early park road on Dominion Day 1888, which she described as a muddy and wet experience. And about a month prior, W.D. Creighton and William Downie boasted the honour of being the first people to drive around the park in a wheeled vehicle.